GALATIANS 5:22 (NIV). 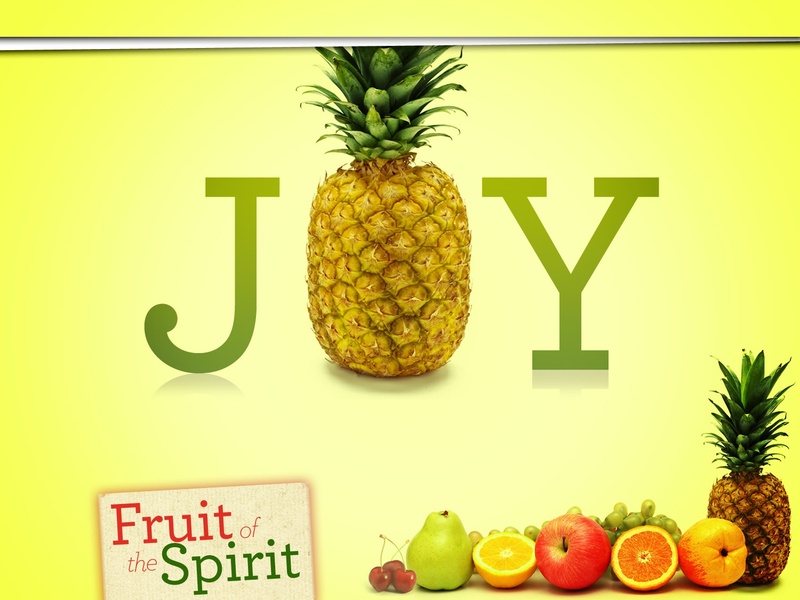 But the fruit if the Spirit is love, joy, peace, patience, kindness, goodness, faithfulness, gentleness and self-control. The fruits of the spirit is the work of the Holy Spirit in our lives. We can’t try to obtain these without Christ. I had never really noticed but joy is second. God made us and wants us to be joyful. We are to love first and then be joyful. God knew we would not be able to be joyful if we first did not love. Think about it. If you did not have anyone to love or if no one loved you, would you be joyful? The Bible has what we need to live daily. We don’t need books, movies, games or anything to take away from our time of Reading His Word. God’s Word is here for us to read, learn, and put into action. We are to love people and be happy, joyful. He never intended for is to live sad. God wants more than anything for you to be joyful. I know things happen and cause us pain and sadness. But if we know God we know He loves us and He can bring good out of bad every time. We can be joyful knowing He is working in our lives and He has plans for us. BUT we have to read His Word and let the Holy Spirit as well as the Fruits of the Spirit move in our lives. It’s not easy. Look what JESUS had to suffer for us. Life is not easy but I can be joyful knowing God loves me and I love HIM. GO OUT INTO THE WORLD AND JUICE YOUR JUICER. BE LOVABLE AND JOYFUL BECAUSE THE HOLY SPIRIT LIVES IN YOU.